A mother has been arrested and thrown in jail on charges of child neglect because her 9-year-old daughter was found playing at a park by herself. It might sound like a reasonable, normal place for an American kid to spend a summer day. That is, until busybody neighbors and overzealous government agents arbitrarily decided that it is abusive. An inmate was locked in solitary confinement and repeatedly sprayed with mustard-colored gas until he died, an investigation has uncovered. Officials then allegedly covered up the death and claimed it was due to natural causes. The town of Abilene has instituted a ‘zero tolerance’ crackdown on private property owners whose grass does not meet government-mandated length requirements. Code enforcers literally drive around with measuring sticks to determine which lawns have been deemed too long by the town. The property owners are then threatened with letters and are ultimately given Class C Misdemeanors if they do not comply. A dubious police tactic has come to light, in which officers used falsified information in order to gain ‘consent’ to search private properties without a warrant. A Florida man claiming his name was “Pterodactyl” was charged last week in a wild chase through the Legoland theme park. He was charged with disorderly conduct, resisting officers without violence, and felony battery on a law enforcement officer for splashing water on the deputy. An officer shot and killed a dog that was waiting for its owner inside of a parked van. The officer later claimed it ‘lunged’ at him, but it was also revealed that he had his gun drawn the entire time. The officer recorded his actions as necessary to protect himself from a “vicious pit bull,” when the truth was that he killed a black Lab sitting in a parked car. A SWAT team left a family traumatized and mourning the loss of two beloved family pets that were abruptly gunned down in their living room during a surprise morning raid. In the wake of their devastation, police walked away with enough evidence to issue a $200 ticket. Police morale in Fruitland Park, Florida has been shaken after a deputy chief and officer resigned when the Federal Bureau of Investigations identified them as members of the Ku Klux Klan. A Virginia man claims he was fired from his security job at Target after a man he reported for shoplifting turned out to be a Leesburg sheriff’s deputy, The Washington Post reports. Authorities in Tampa, Florida are being accused of covering up the truth regarding officers’ fatal shooting of 29-year-old Jason Westcott, who was suspected of dealing drugs but was later found to have about $2 worth of marijuana in his home. The Albuquerque Police Department, which has drawn criticism for its use of excessive force, plans to supply officers with hundreds of military-style weapons. A Virginia family said police harassed them and tried to stop them from filming arrests in front of their home. In other words, this bill would allow police departments to arrest the people who file complaints against police officers. 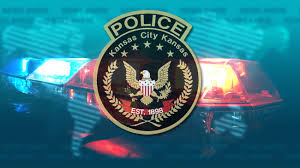 In Wichita, Kansas, complaints are almost always dismissed, by the Wichita Police Department, so, according to this bill and its vague wording, the WPD, could now go arrest the people who file complaints against their officers. A well-known Native American artist said Santa Fe police pulled a rifle on him after his dog defecated in his SUV and a passerby mistook his cleanup for a burglary. Police forcibly commandeered homes from two innocent families because they wanted to use the properties to surveil a neighbor. After their plan was denied by phone request, police conspired and executed a plan to break into the homes and arrest the innocent homeowners, a lawsuit reveals. A 17-year-old boy is being persecuted because he and his 15-year-old girlfriend voluntarily shared naked pictures with one another. As if that were not enough injustice, the boy was forcibly photographed naked as evidence… and investigators want even more. Grandmother Arrested, Spends 5 Days in Jail…..Whoops, Wrong Person.